Kevin is entering his fourth decade of nonprofit management. 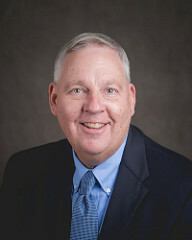 His career includes leadership roles in Wisconsin, Ohio and Missouri. 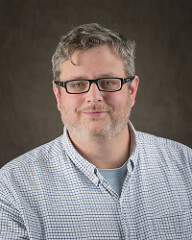 Kevin has Bachelor’s degrees in Psychology and Social Work, an MSSW and an MBA from the University of Wisconsin. In each of his leadership positions, including his current role here at Provident, his vision has been to create a viable, relevant, mission-driven service mix that is accountable, sustainable, and inspirational. He is recognized as a person who collaborates well in the community, develops his team and is a strong fundraiser. Kevin has a particular passion for system advocacy, and has sparked successful statewide legislation in education, foster care and suicide prevention. 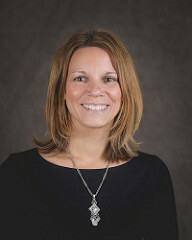 Renee joined Provident as the executive assistant to the Chief Executive Office in April of 2008. 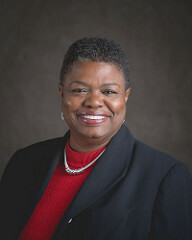 She assists the executive director in effective day-to-day operations, which includes interacting with the Board of Directors and Advisory Council members, staff and community leaders She also provides support to the director of advancement and serves as the organization’s secretary. Stephanie has been with Provident since 2011 and oversees all financial and accounting, facility, and technology-related functions. 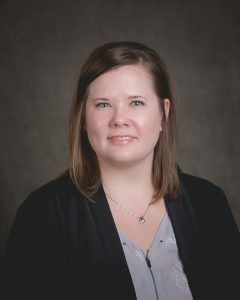 Stephanie has a Bachelor’s of Business Administration from McKendree University and is a licensed Certified Public Accountant through the State of Missouri. Prior to joining Provident, Stephanie was a tax manager specializing in not-for-profit tax compliance. Lindsay has been with Provident since 2016 and is the first person to fill the newly-created Director of Clinical Services. She oversees the 67 people who make up Provident’s Life Crisis and Clinical teams. Under her leadership, staff members answer calls to the lifeline as well as see clients in the office. Julie has served several valuable roles within Provident since joining the team in 2010. She began her career with the organization writing and managing grants, then served as the director of community engagement, where she worked with community partners and oversaw the Afterschool program. She was named the director of advancement in 2017 and will lead all fundraising efforts as well as continuing to provide high-level guidance to her previous teams. 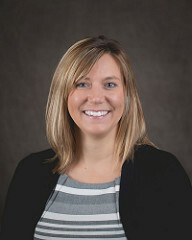 Jane started with Provident in 2011 as an intern, filled many roles over the years including PRN and clinician. She is now the organization's first Director of Program Advancement. 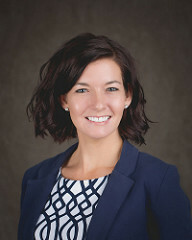 She works with fellow members of the leadership team to maximize both effectiveness and efficiency of current program operations and develop new programming. A human resources leader with decades of experience in the nonprofit industry, Kevin joined Provident in 2014. He is responsible for managing recruitment, benefits, performance management, and employee engagement. He has a Bachelor’s degree in Human Resource Management from Mississippi State University and received his Master’s in Counseling from Covenant Theological Seminary. 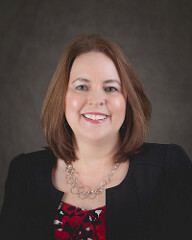 Bailey began her service to Provident as a clinician, then redeveloped the organization’s compliance programs before becoming the Director of Strategic Planning and Compliance. She manages the agency’s Joint Commission Accreditation, clinical audit process, continuous quality improvement initiatives, and agency Strategic Planning, as well as serving as our Privacy and Security Officer.